Viewers will be transported to Berlin in the Roaring Twenties in epic German period drama Babylon Berlin. Based on Volker Kutscher’s novels, the story follows Gereon Rath, a police officer from Cologne investigating in the capital with his own agenda. Yet the story only serves as a way into a city overrun by organised crime and political extremism. Berlin is a metropolis for those with talent and ambition but a dead end for the impoverished masses striving for a better life. 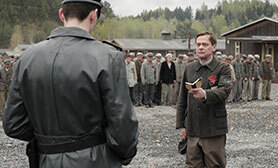 Writers and directors Tom Tykwer, Henrik Handloegten and Achim von Borries discuss how they used to books as the basis of the 16-episode series, which they say also asks questions about German society during the emergence of the Nazis. They also reveal how they shared responsibilities in pre-production, during shooting and in the editing process, on a production that ran to 185 shooting days and filmed on a backlot built at Studio Babelsberg, complete with four streets and squares. Babylon Berlin is produced by X Filme, ARD Degeto, Sky and distributor Beta Film. Babylon Berlin recreates 1920s Berlin in exquisite detail to bring Volker Kutchser’s detective Gereon Rath to television. DQ visits the set. Amid financial turmoil and growing distrust of establishment figures, an ultra-nationalist movement stirs, snaring growing numbers of supporters through lies and scaremongering while opposition parties flounder. A functioning political process begins its slow, stealthy death march, while the importance of fighting for freedom and democracy becomes impossible to ignore. Small wonder the story of the Weimar Republic, Germany’s postwar democracy dismantled by the Nazis in the 1930s, feels so appropriate for our times. 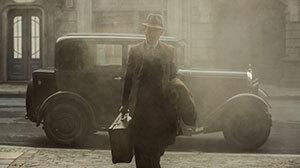 For X Filme, the German production company weighing up the possibilities, the big question was how to tell it. Enter Volker Kutscher, author of the noirish Gereon Rath detective novels. Kutscher’s first story in the series, Babylon Berlin, follows vice squad detective Rath as he is dispatched from his hometown of Cologne on a secret mission to bust an extortion ring in Berlin. Instead, his investigations turn up sinister goings-on linking politics to the underworld and police corruption to a proposed right-wing military putsch. His sidekick, Charlotte Ritter, is an unlikely combination of police stenotypist and prostitute, such was the struggle for many to make ends meet on the cusp of the Great Depression. Although ridiculed by her superiors, she becomes indispensable to Rath, her dual life granting him crucial access to Berlin’s seamy underbelly. It’s a rich stew of cultural, personal, political and economic excess in arguably the most intoxicating city of the age, and proved irresistible to producer Michael Polle and X Filme co-founder Tom Tykwer, director of ambitious art-house touchstones including Run Lola Run and Cloud Atlas. 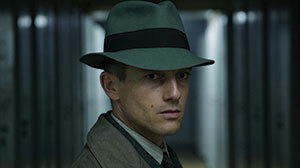 Brought to X Filme to build up the television department, it’s fair to say Polle is fulfilling his brief with Babylon Berlin, which will premiere on Sky Deutschland this October before its free-to-air debut on Germany’s ARD Das Erste next year. After an aborted attempt to work up their own material for a Weimar-era drama, the team turned to Kutscher’s books and, after a patient hunt (they had been optioned by another company), bought the rights. Kutscher has been a hands-off partner on the Babylon Berlin set, happy to leave the production to it once he had seen the scripts, according to Polle. Crucially, like the novel, the TV adaptation examines the era without imposing any knowledge of what was to come. This was the pre-cabaret age, when optimism still abounded and political turmoil was matched by a thriving creative arts scene led by director Fritz Lang, dramatist Bertolt Brecht and the art movements of Expressionism and New Objectivity. The Nazis were a minority concern and few had heard of Adolf Hitler. 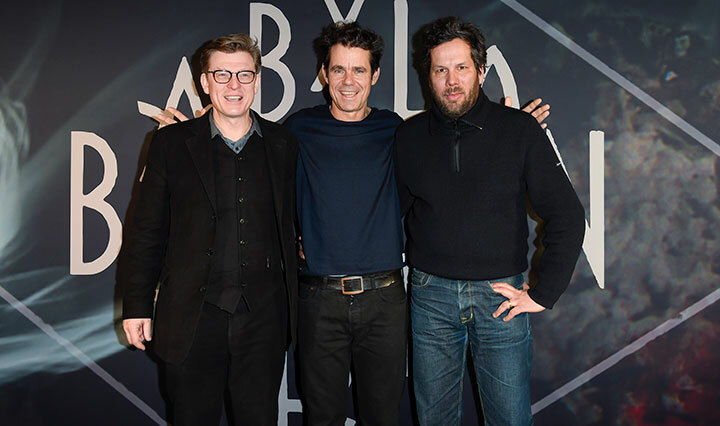 Tykwer was joined by Achim von Borries (Alone in Berlin) and Henk Handloegten (Summer Window), with the triumvirate directing and writing all 16 episodes that make up the first two seasons. And despite being both the most recognisable name internationally and the ostensible showrunner, Tykwer appears to run a very collaborative process, insisting each episode is credited to the three of them. Certainly, it’s unusual for an auteur to harness their creative instincts to the collective quite so comprehensively. 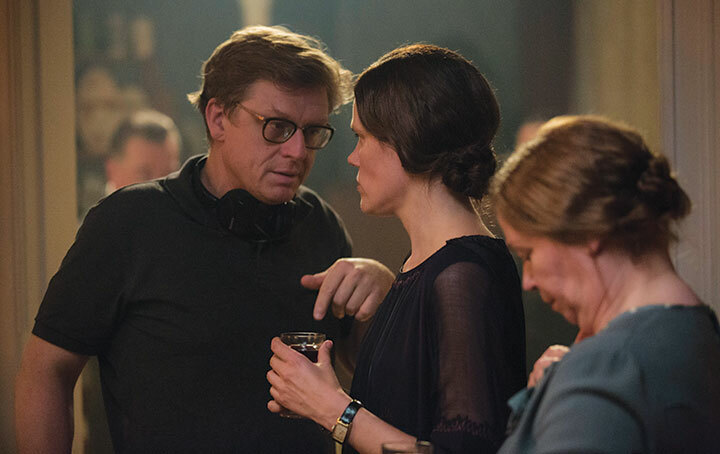 While Tykwer was virtually a TV debutant before Babylon Berlin, with just two episodes of Lana and Lilly Wachowski’s Netflix folly Sense8 to his name, Von Borries and Handloegten had considerable experience in small-screen drama – something undoubtedly invaluable to the extraordinary logistical effort required to shoot 16 episodes concurrently over eight months. It’s a bone-chillingly cold December day when DQ visits Babylon Berlin’s backlot set, Neuen Berliner Strasse, at the Studio Babelsberg in the Berlin suburb of Potsdam, on the outskirts of the German capital. 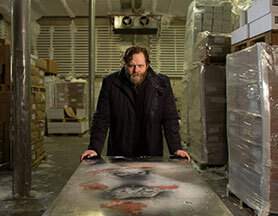 Scenes from episodes two, three, 12, 14 and 15 are being shot by all three directors across several locations in Berlin and Cologne, the hometown of not only Rath (played by Generation War’s Volker Bruch, pictured top) but also Kutscher. At Babelsberg, a week before wrap, von Borries is directing Liv Lisa Fries (Day of Rage, Night of Reason) as her character, Chartlotte, attempts to rescue her younger sister from the clutches of an exploitative gangster outside Moka Efti, a legendary Berlin nightspot whose art deco facade is impressively rendered here. Almost all the houses on this network of streets are in fact facades, but their doors and windows still offer different perspectives and angles for filming. Interiors were shot in studios or production centres – primarily the former ministry of the interior for the GDR, which was used as the inside of a police station, various offices and part of Moka Efti (an old silent-cinema building was also used for the latter). As well as overseeing the score, as he has done for the vast majority of his films, Tykwer brought several key collaborators to the series. Most critically, there’s production designer Uli Hanisch, whose work on this outstanding set allows grotesque wealth to nestle cheek by jowl with extreme poverty. Various streets from several different Berlin districts are here: principally, Friedrichstrasse, Charlottenburg and Kreuzberg Neukölln. No single thoroughfare is straight, again offering multiple camera angles for the creative director of photography. Greenscreens lurk on street corners, although on-location filming was carried out where possible, including a memorable day of filming on Alexanderplatz, a large public square in central Berlin. “The plan was to get an idea of Berlin in the 1920s, and to do that you have to film in the streets,” says Polle. The scene being depicted when DQ visits is set a few days after police had used horses and tanks to disperse a Communist march for Official Workers’ Day, May 1, 1929. It’s a little calmer now, but only just. Political slogans cover walls and lampposts. Adverts promote Sanatogen ‘Fur Deine Nerven’ (for your nerves). Beautiful vintage cars squeal through crowds of people going about their business. Around 150 extras are on set today, each with their own name, number and costume – “some people say there aren’t any 20s costumes left in Europe because we have rented them all!” laughs Polle. The blend of 1920s Berlin with the aesthetic of classic American gangster movies is entirely deliberate, and a decision that Boardwalk Empire fan Kutscher endorses. Babylon Berlin will join a growing number of German series making an international splash, notably Second World War saga Generation War and Cold War thriller Deustchland 83. 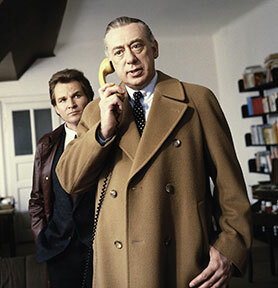 Not since the days of Wolfgang Petersen’s Das Boot and Rainer Werner Fassbinder’s Berlin Alexanderplatz in the early 1980s has German television drama enjoyed such a high profile. Deutschland 83, however, proved to be a much bigger hit abroad than at home – an indication of the gamble being taken by producers when they aim for a wider market. As a result, broadcaster RTL has partnered with Amazon on its sequel, Deutschland 86. 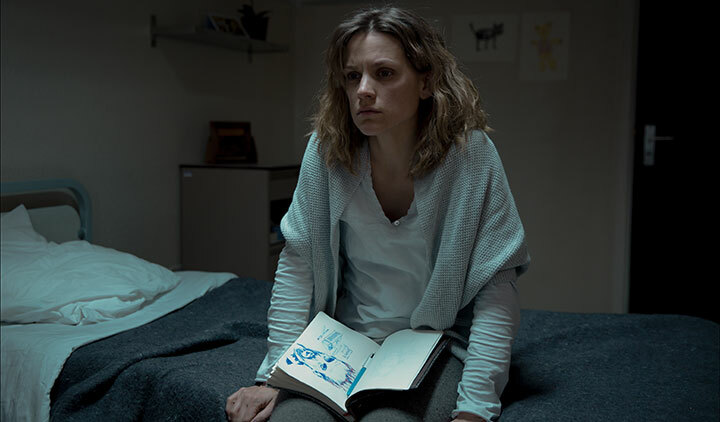 Netflix, meanwhile, will launch German-language supernatural drama Dark this winter. The market, however, hasn’t been entirely cornered by SVoD services. For Babylon Berlin, X Filme opted for a pay TV/free-to-air partnership between Sky Deustchland and German national broadcaster ARD – an unusual but not unprecedented setup. European coproductions have, says Polle, become increasingly common, with Borgen creator Adam Price and Danish network DR working with Franco-German network Arte on faith-based drama Rides Upon the Storm. Seven more series will take part in this year’s coproduction pitching session at the Berlin Film Festival – but what became of the shows that previously pitched for coproduction partners? In the increasingly expensive business of television drama, piecing together the financial plan to pay for these shows has become more important than ever. Since 2015, the Berlin Film Festival has invited TV projects to pitch for coproduction and financing partners at the CoPro Series, part of the Berlinale Coproduction Market. Ahead of this year’s event, which takes place this week, seven shows have been selected for the exclusive pitching session. They include Freud, from Bavaria Fernsehproduktion and Satel Film (Germany and Austria); Cognition, from Catalyst Global Media and A Better Tomorrow Films (UK and US); Omerta, from Caviar (Belgium); and Metro, from Kelija (France). The line-up is completed by State of Happiness, from Maipo Film (Norway); Hausen, from Tanuki Films (Bulgaria); and Warrior, which comes from Miso Film (Denmark). But what has become of the shows that have been pitched in previous years? Here, DQ looks back at some of the series that have taken part to find out what happened next. This Norwegian drama, produced by Tordenfilm, debuted in January on NRK, with 1.2 million viewers watching the first two episodes. 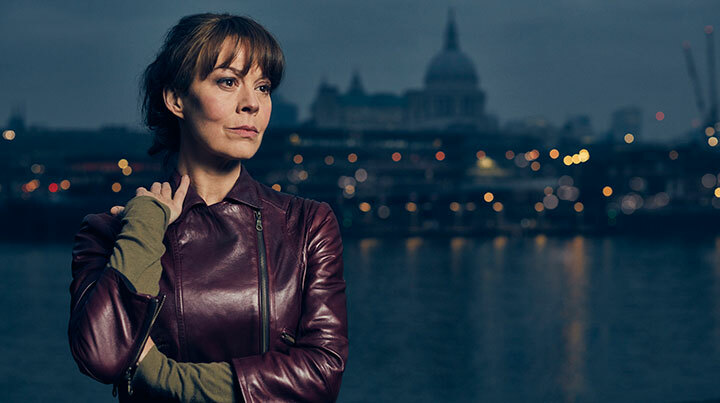 It was also picked up by networks in Sweden, Denmark and Finland, and will launch in the UK on Channel 4’s international drama-focused digital platform Walter Presents. 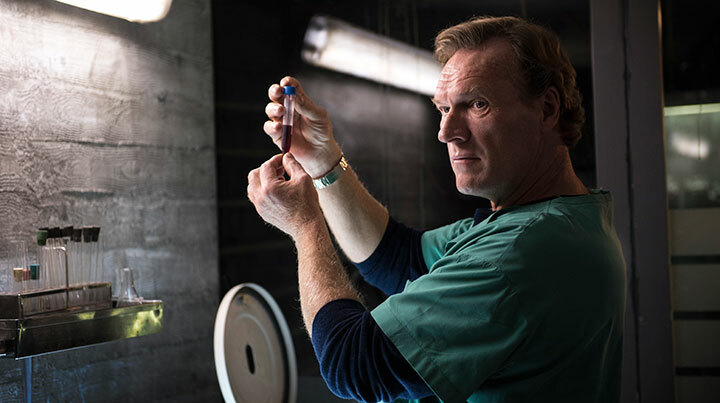 Written and directed by Erik Richter Strand, Valkyrien tells the story of a physician who fakes his terminally ill wife’s death but keeps her secretly alive in an induced coma while he desperately tries to find a cure for her illness. To finance his endeavours, he is forced to make alliances with the criminal world and treat a variety of patients who need to stay off the grid. 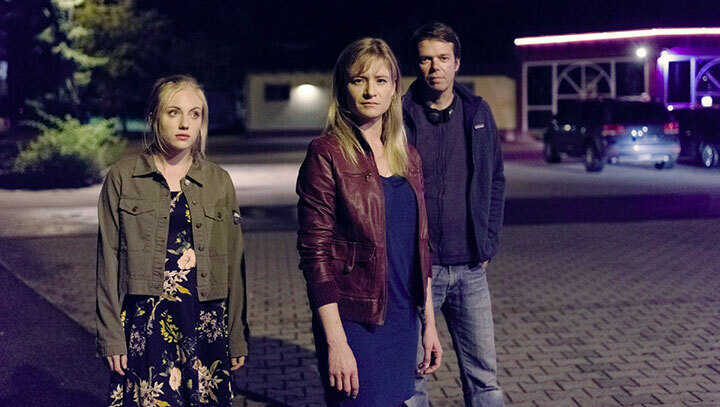 This groundbreaking new German series (pictured top) brings together pay TV giant Sky Deutschland and public broadcaster ARD, as well as coproducers X Filme Creative Pool and Beta Film. Based on the series of novels by Volker Kutscher, it tells the story of police inspector Gereon Rath (played by Volker Bruch) as he tackles crime in 1920s Berlin – the most exciting city in the world, set between drugs and politics, murder and art, emancipation and extremism. Currently in post-production, it is due to debut on Sky on October 13 and then on ARD later in 2018. International broadcasters to have acquired the series include Sky UK, Sky Italia, Spain’s Movistar+ and Belgium’s Telenet, as well as SVT Sweden, NRK Norway, DR Denmark, YLE Finland and RUV Iceland. Produced by Belgium’s Caviar, Tabula Rasa is currently in post-production and is scheduled to debut this October on VRT. It is distributed internationally by ZDF Enterprises. Starring Veerle Baetens, the show centres on Mie, a young woman locked up in a secure psychiatric hospital. She is visited by detective inspector Wolkers, who is trying to solve a disturbing missing-persons case when it transpires Mie was the last person to be seen with Thomas Spectre before he vanished. It appears to be a cut-and-dried case for the experienced DI Wolkers – except his only witness is a woman suffering from acute memory loss. In order to solve the puzzle and find Thomas, Mie has to reconstruct her lost memories and find her way back through the dark labyrinth of her past. Tabula Rasa is written by Malin-Sarah Gozin (Clan) alongside Christophe Dirickx and Baetens. Written by Bernd Lange and Hans-Christian Schmid, this show unfolds in Forstenau, a small town close to the Czech border. When 20-year-old Janine Grabowski (Elisa Schlott) disappears, no one suspects foul play except her mother, Michelle (Julia Jentsch), who is forced to begin the search on her own. But the more she learns about her daughter and her surroundings, the more she wonders how much her own behaviour in the past has helped to create a network of lies and secrets, in which Janine is not the only victim. Currently in post-production after shooting finished in December, The Vanishing is produced by Germany’s 23/5 Filmproduktion. Since it was pitched at Berlinale, regional German broadcasters ARD Degeto, BR, NDR and SWR have come on board, with the series due to air on national public broadcaster Das Erste later this year. 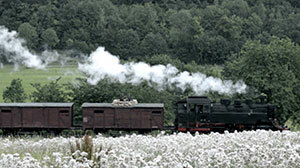 Coproducer Mia Film from the Czech Republic is also attached. This drama centres on a flamboyant Turkish family that immigrates to the Netherlands in the 1980s. It follows Osman and Cansu Çelik and their four adolescent children, who each have to find their own way to adulthood, pulled between a seemingly more communal life in spacious and sunny Turkey and an individual, modern existence in the Netherlands. Written by Sacha Polak and Stienette Bosklopper, it is produced by Circe Films. NTR in the Netherlands and BNN-VARA will broadcast the show. From Conquering Lion Pictures and Canadian broadcaster CBC, The Illegal is based on a book by Lawrence Hill and reunites the team behind The Book of Negroes, which was also based on a novel by Hill. Described as a dystopian story by writer and director Clement Virgo, the novel tells the story of Keita Ali, a refugee compelled to leave his homeland and flee to a nearby wealthy nation – a country engaged in a crackdown on illegal immigrants. It is currently in its second phase of script development, with shooting scheduled for January 2018. This newsroom-based drama, hailing from Israel’s Drama Team, is currently in development. Germany’s leading broadcasters have always spent heavily on TV drama. But until recently there was a feeling that their work was too domestic in character to travel. Shows like Generation War and Deutschland 83 have changed that perception. This week, we shine a light on the writers who are driving Germany’s TV exports. Stefan Kolditz studied theatre in Berlin then taught in universities until 2002. Throughout the 1980s and 1990s, he wrote numerous projects for theatre, film and television. After honing his TV skills with classic German dramas such as Tatort and Polizeiruf 110, he had a major breakthrough in 2014 with the UFA/ZDF miniseries Unsere Mütter, unsere Väter (Generation War). He followed this with an acclaimed adaptation of Bruno Aptiz’s classic novel Naked among Wolves, which aired on ARD and is distributed internationally by Global Screen. More recent projects include the film biopic Paula and TV movies for pubcasters ZDF (Ein Mann Unter Verdacht) and ARD (Mutter Reicht’s Jetzt). He has also managed to fit in two new episodes of Tatort. Annette Hess studied playwriting in the 1990s in Berlin and then worked at ARD in various executive roles. Her life as a screenwriter began in earnest at the start of the last decade, with TV movie credits for her previous employer. Like Kolditz, she cut her teeth on long-running scripted franchises like SOKO (Cologne) and Polizeiruf 110. However, the big turning point came in 2010 with the acclaimed drama series Weissensee, which has now run for three seasons (one every two years). Since then, she has had another big hit with Ku’damm 56, a ZDF series about female emancipation in the 1950s. The UFA-produced show was good enough to secure a follow up called Ku’damm 59, which is now in the works. In 2016, Hess also wrote episodes of Der Kommissar Und Das Meer, a ZDF crime series that has been running since 2007. 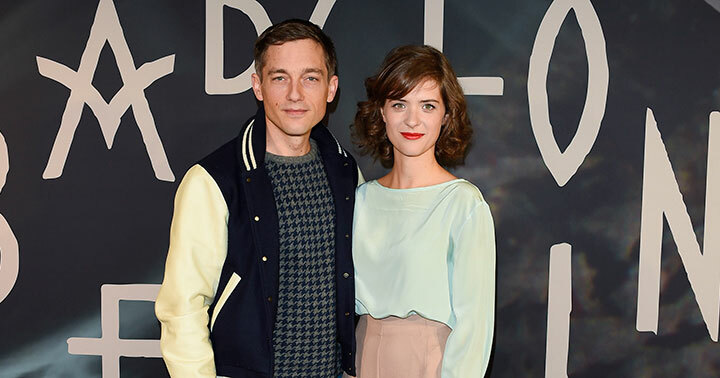 Joerg & Anna Winger burst onto the scene with Deutschland 83, a Cold War drama that aired on RTL in Germany and has attracted a lot of attention internationally. The two are now working on a sequel called Deutschland 86, which will premiere exclusively on Amazon Prime Video in Germany in 2018 before airing on RTL. Anna Winger is actually from the US, making her part of a growing trend for foreign writers to get involved in German series (others include Paula Milne and Rachael Turk). She is also developing a series for BBC America set in contemporary Berlin. Dorothee Schön grew up in Bonn then studied film in Munich. She has written a number of TV movies and is another to have contributed to the Tatort juggernaut. After two decades working on TV movies, her next big project is a UFA-produced miniseries for ARD called Charité. A six-parter, the show tells the story of Berlin’s legendary Charité hospital, which many credit with inventing modern medical research. Schon is also lined up to write a miniseries for UFA called The Porsche Saga, which is based on a book about the car manufacturer by Stefan Aust and Thomas Ammann. 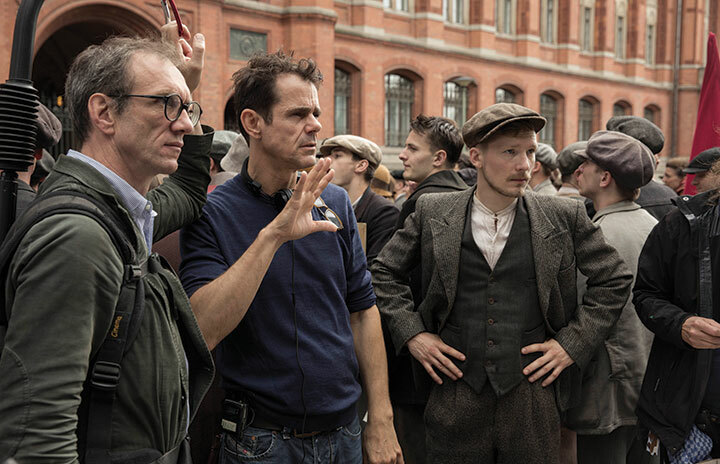 Tom Tykwer is writing Babylon Berlin with Hendrik Handleoegten and Achim Von Borries for a 2017 launch on Sky Deutschland. 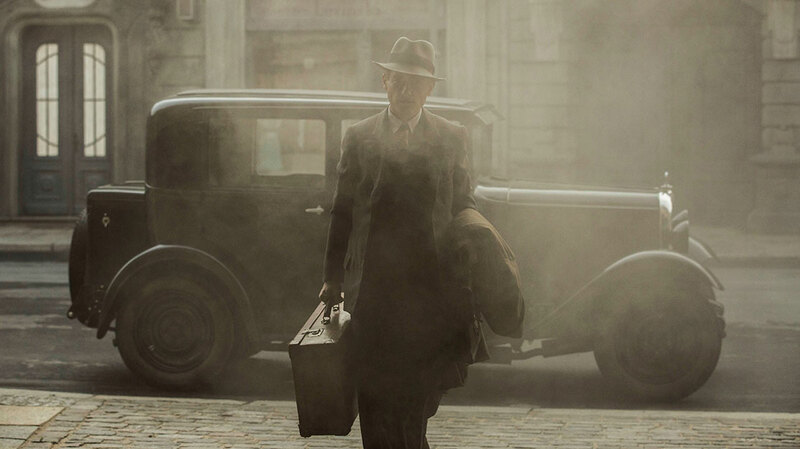 The lavish period piece will focus on life in 1920s Berlin. Writer/director Tykwer is best known for his movies, which include Run Lola Run, Perfume and Cloud Atlas. It’s not clear yet whether this is the start of a career in TV or a one-off project. Christoph Silber wrote Rivals Forever – The Sneaker Battle, a period piece about the rivalry between Adi and Rudi Dassler, the founders of Adidas and Puma. A British-German producer, director and writer based in LA, Silber has been working across film and TV since the start of the last decade. Like many of his counterparts, he has written episodes of Tatort. Among his better-known TV movies is Das Wunder von Kärnten (written with Thorsten Wettcke), which tells the true story of a three-year-old girl from Austria, who fell into the lake behind her parents’ house in 1998 and had been underwater for 30 minutes before being found. A young cardiovascular surgeon takes up the seemingly hopeless fight for the young girl’s life, and remarkably saves her. More recently, Silber has been working on the miniseries Honigfrauen, which will see the light of day on ZDF in 2017. Set in 1986, it tells the story of two young women who go on holiday to Hungary’s Lake Balaton from East Germany. Rolf Basedow is one of a team of writers who scripted Beta Film’s NSU Germany History X, a series about far-right German nationalists produced this year. Active in the TV business since the 1970s, he has contributed to dramas like Tatort and has also written series such as Sperling and the acclaimed 10-part series Im Angesicht des Verbrechens (2010), which looked at the interplay of police and gangsters in Berlin. 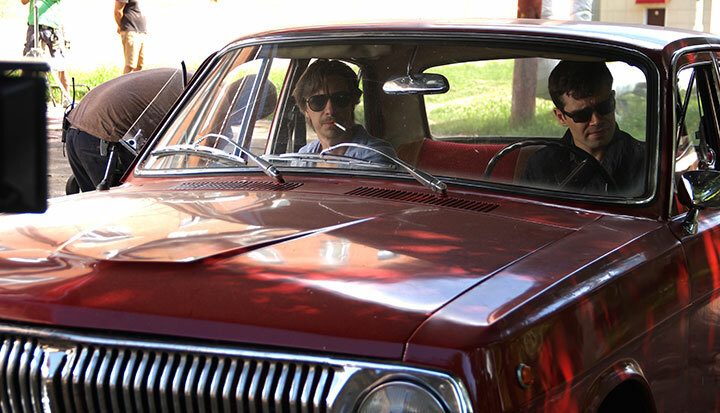 Following NSU, he is back to writing TV movies including Zielfahnder: Flucht in die Karpaten. Jan Berger had a major international hit with The Physician, which was directed by Philipp Stolzl. The Berger/Stolzl combination has subsequently come to be regarded as something of a dream ticket. The pair reteamed for Beta Film’s updated version of western adventure Winnetou and are also working with UFA Fiction on a TV biopic of magicians Siegfried and Roy. 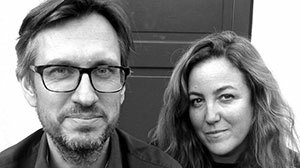 Niki Stein and Hark Bohm are writing Hitler, a high-end drama series from Beta Film that will air on RTL and has been sold to French broadcaster TF1. The 10-hour event series is based on the biography Hitler’s First War by the internationally renowned historian Thomas Weber and will “shed an unprecedented light on the most closely examined figure of modern history,” according to Beta Film. Stein (pictured), another Tatort alumnus, has written numerous TV movies. One of his best-known works is the 2012 TV movie Rommel, about the famed Second World War general. The film attracted controversy, so it will be interesting to see how Stein handles this subject. 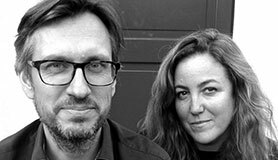 Marc Terjung and Benedikt Gollhardt created the hit Sat1 comedy series Danni Lowinski, about a hairdresser who becomes an unconventional lawyer. 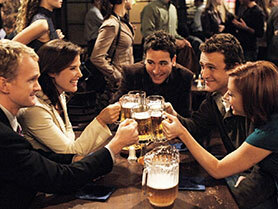 The German series ran for five seasons and spawned a Dutch adaptation. Terjung (pictured) also created comedy series Edel & Starck and has written for SOKO. After working on legal dramedy Danni Lowinski, he wrote Josephine Klick – Allein Unter Cops, about a female police officer who moves from a small town to Berlin, whereupon she encounters resistance from her new colleagues. Jantje Friese recently secured the job of writing Dark, Netflix’s first German original series. The 10-part show, directed by Baran bo Odar, is set in a German town where the disappearance of two children exposes the double lives and fractured relationships among four families. Friese studied in Munich then started her career as a commercials director. Subsequently she went into production and writing. Together with Odar, she wrote the film Who Am I?, a well-received political/cyber thriller. Hot on the heels of some breakout hits, German drama is paving the way for fresh stories to be told as new players enter the original programming game. Michael Pickard reports. After the international success of Deutschland 83, a new wave of German drama is set to break out around the world. With pay TV and SVoD services growing steadily in the country, these platforms are now getting into original drama themselves. Among the trailblazers were pay TV channel TNT Series, which launched The Valley – In the Midst of Silence following the success of comedy drama Add a Friend. And those successes are spreading confidence across the industry. One of the most ambitious new series coming out of Germany is Babylon Berlin, which starts filming next month. Based on Volker Kutscher’s novels, it centres on police inspector Gereon Rath in 1920s Berlin – a hotbed of drugs and politics, murder and art, emancipation and extremism. It was created by showrunner Tom Tykwer (Sense 8) and his writer/director team Achim von Borries and Hendrik Handloegten, and stars Volker Bruch (Generation War) and Liv Lisa Fries. 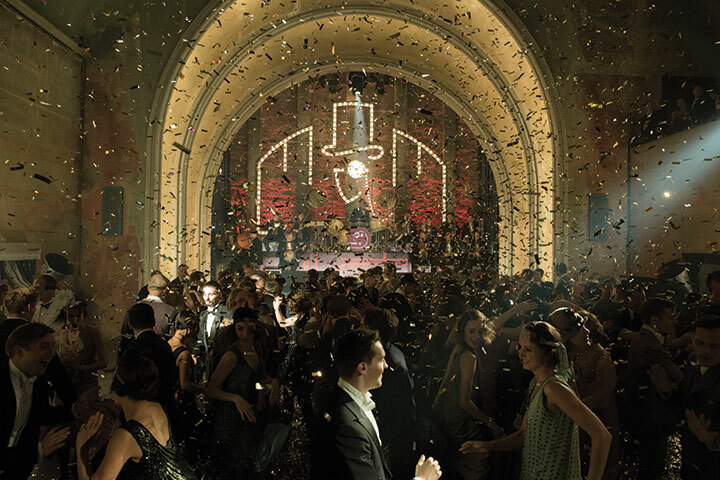 Babylon Berlin is particularly groundbreaking as it’s a collaboration between pay TV platform Sky, X-Filme, public broadcast group ARD and Beta Film, which is distributing the series worldwide. Sky will broadcast the series in 2017 and ARD in 2018. That Sky and ARD have come together on the project is particularly unique, signalling both Sky’s ambitions to break into original German drama and the unique financing strategy in place to bring the series to life. 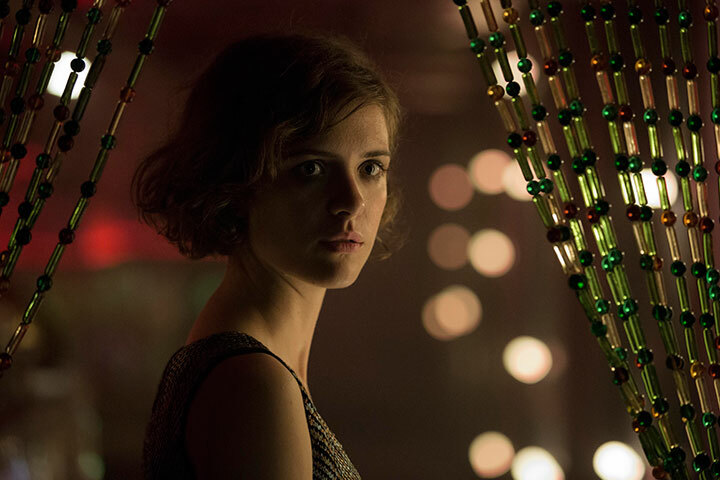 For Sky, Babylon Berlin is just the start of its original drama strategy, which is being built on top of exclusive acquisition deals for content from US premium cable networks such as HBO and Showtime. Carsten Schmidt, CEO of Sky Deutschland, says the series “is an exceptional project and a perfect match for Sky – bold storytelling, an outstanding cast and Tom Tykwer’s incredibly creative team. For Tykwer and his colleagues von Borries and Handloegten, the project marks the end of a search for a unique story to tell on Germany television. Of course, one of the central characters in the series is the city itself, which Handloegten says was characterised at the time by its fast pace, freedom and diversity. German drama is also set to receive a boost from Netflix and Amazon, which have both ordered their first original German-language series. Matthias Schweighofer will star in, direct and produce Amazon series Wanted, about a man who becomes the target of a mysterious hacking attack that puts him and his family in danger. Dark, described as a family saga with a supernatural twist, comes to Netflix from producers Widermann & Berg (The Lives of Others) and is directed by Baran bo Odar. It is due to air in 2017. The story is set in a German town in the present day where the disappearance of two young children exposes the double lives and fractured relationships among four families. It goes on to take a supernatural twist that ties back to the same town in 1986. By pushing the boundaries of its homegrown series, both in terms of story and where they can be found, German drama is going from strength to strength at a time when there is a growing demand to see its stories played out on the international stage.